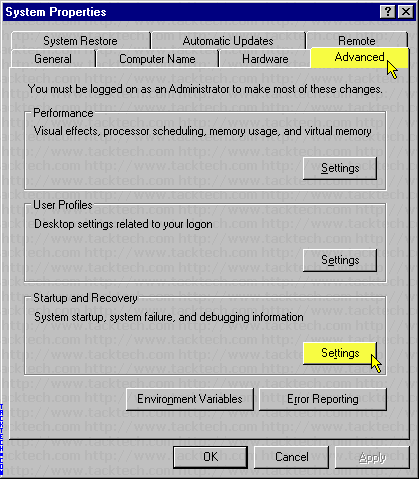 Disable Microsoft Windows XP Boot Logo (Windows XP) - TACKtech Corp.
Left Click Properties on the menu. 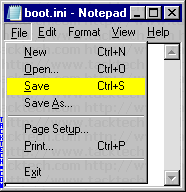 Under System startup, click the Edit button. Click File > Save on the menu. 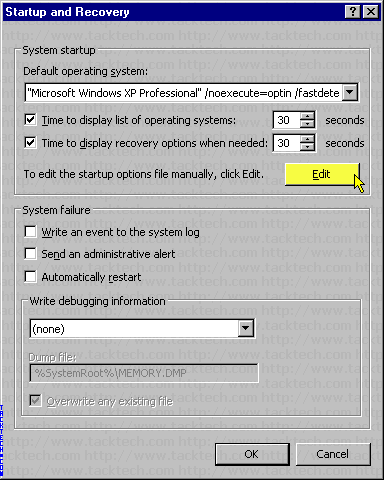 On the Startup and Recovery dialog, click the OK button. On the System Properties dialog, click the OK button.